Meet the Quandrantid Swarm. It’s the latest creation from French boutique Eowave, whose inventions have always tended to the experimental and unique. 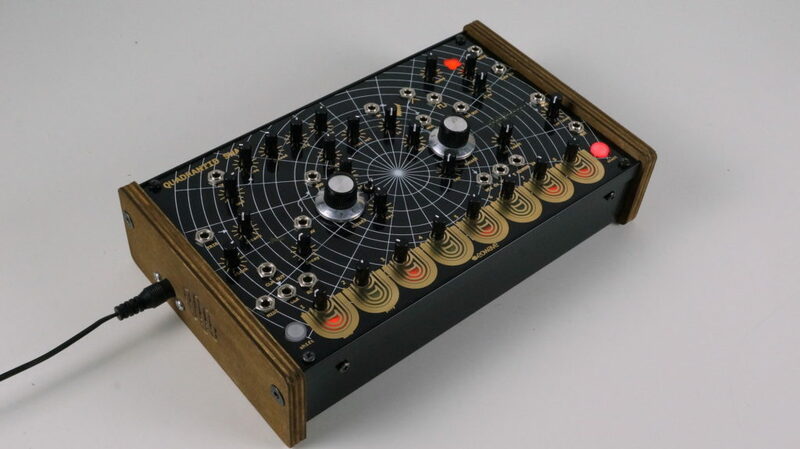 And while they also do modular now, I can’t help but feel this is Eowave at their best – making desktop instruments and oddball interfaces. These are creations with an eye to the past, but in some sort of alternate history that bent in a different direction. There’s actually a lot packed into the Swarm’s retro-styled prototype. 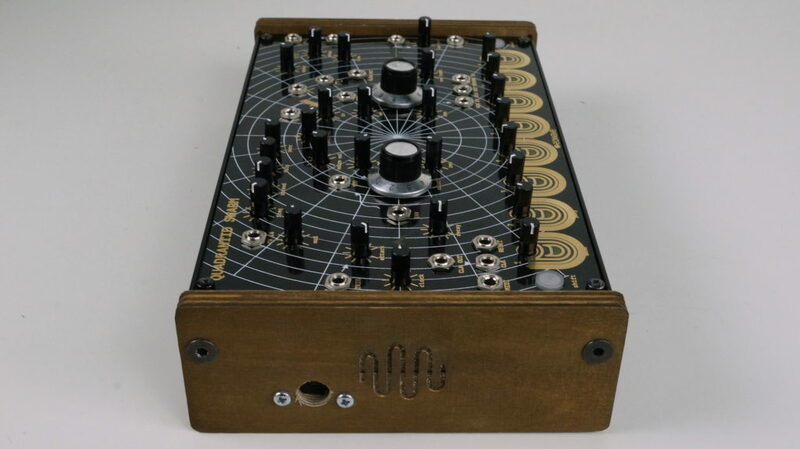 The synth voice itself is digital, but that gets routed through a 2-pole analog filter, modulation with eight selectable waveforms, and – what really defines the vintage character here – a spring reverb. 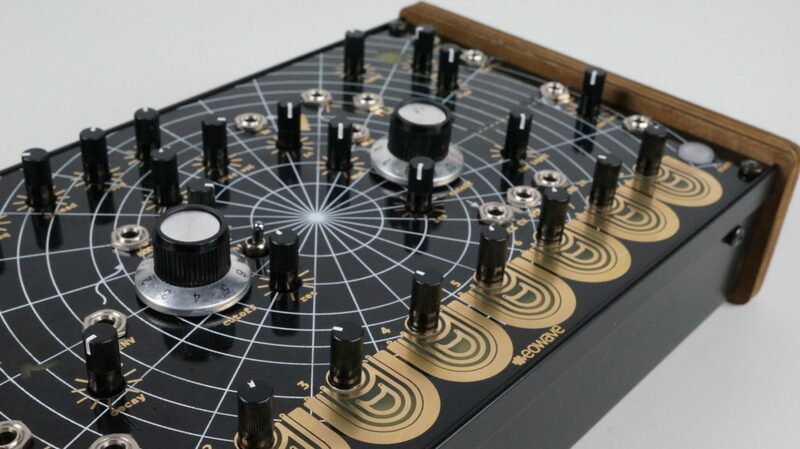 There’s also a unique touchplate interface, which acts as a keyboard (either monophonic or polyphonic) or an eight-step sequencer. Plus there are patch points on the main panel, making this a bit of a tiny submodular. MIDI and CV/trig connectivity let you integrate this with your studio. While they’re unveiling the prototype at Superbooth amidst a sea of modulars, this also demonstrate the particular place desktop gear can occupy. Sure, you could cobble together something sort of like this using a modular rig (though probably for a bit more scratch). But while that flexibility has inarguable value, I think there’s also something special about defining this particular set of functions as a single, integrated instrument. Release date is TBD, with tentative retail pricing set at 499€. I’m seeing people complain about the price but I don’t know what they’re on about – there’s literally nothing that competes with this particular instrument, as it’s a one-of-a-kind invention. And I’m sure some people will find a home for it. I had to miss the first day of Superbooth, but this is way up on my list to go see tomorrow, so shout if you have questions about this or anything else Eowave and I’ll dig up some answers. *Actually, there probably is such a film – exploring the masterpieces of Communist cinema should really be a topic for another post, if anyone wants to contribute. Poland, the DDR, and USSR had some gems I can think of off the top of my head. And… yeah, I’d still choose the Eowave to continue the tradition of unusual sounds, because those things still sound futuristic today. Maybe even more so.